Frontman, Shawn Hutchins, first started DISTRUST in March of 1994, released a demo in 1995, disbanded in 1997, and then reformed it with all new members in 1998. Gathering up new musicians: guitarist Travis Horton, bassist Dave Ulrich, and finally after trying out a few drummers, Kevin Royer fit the bill. 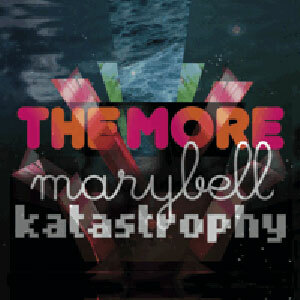 Now we have the DISTRUST we know today: "speed metal, menacing, macabre" = METALCORE. DISTRUST has played the circuit for many years now sharing the stage with acts of all ages and genres and including numerous U.S. metalfests (ie: Milwaukee and NJ). 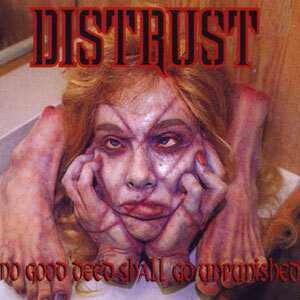 In the spring of 2000 DISTRUST was able to record their second CD -- first full-length -- "No Good Deed Shall Go Unpunished" with the new line-up.